La Plata, Argentina. 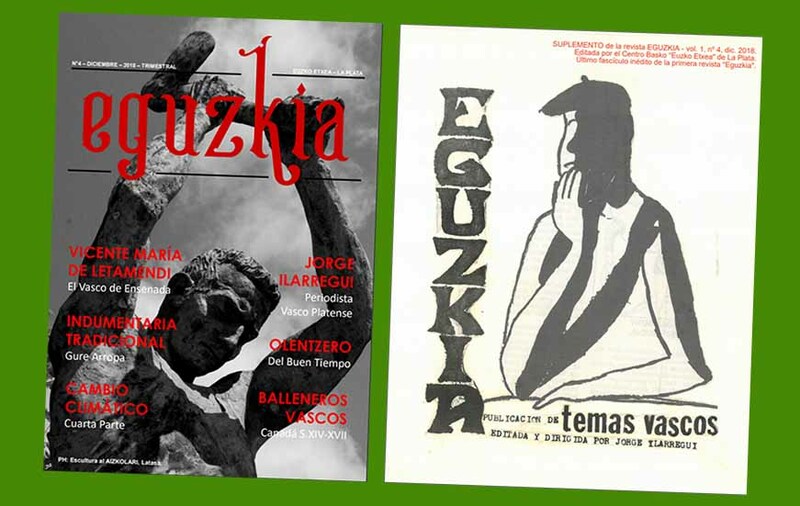 2018 brought a very special present to La Plata with Euzko Etxea’s recuperation of one of its historic titles: the Eguzkia magazine that was published in La Plata from 1973 to 1977. In march the club recovered the masthead for the new quarterly magazine. With a new format, design and contents the new Eguzkia can now be read and downloaded free of charge online. At the request of the Euzko Etxea in La Plata, EuskalKultura.com has made Eguzkia available on its site, from where it will be available from now on. Currently four issues (March, June, September and December and the December supplement an unpublished issues from 1977 by Jorge Ilarregui) are available. More issues will be added as they become available.